Greetings my fellow gluten feeders! 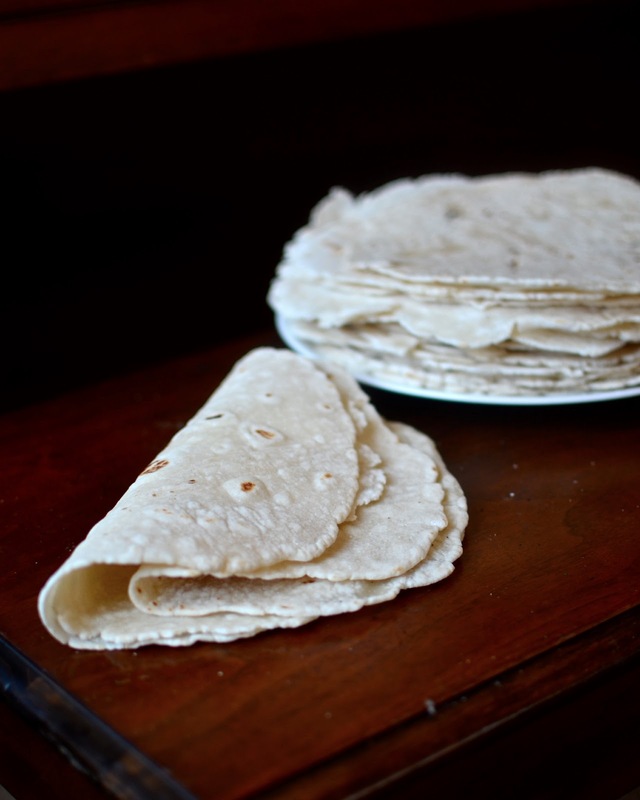 I have for you today a new recipe for gluten free flour tortillas. They're pretty much the easiest form of bread to make in the whole wide world and they're great for everything from tacos and quesadillas to egg salad. Plus, unlike other gluten free tortillas, these do not break, crack, or crumble. First you just make your dough. I was making a double or quadruple batch or something here, so ignore the quantity. The dough should be soft, not sticky. Roll it out nice and thin on a surface lightly dusted with corn starch or tapioca flour. If you have one of these nifty lifter things, that's a plus. I think it's called a cake lifter, though I would never try lifting a cake with that. 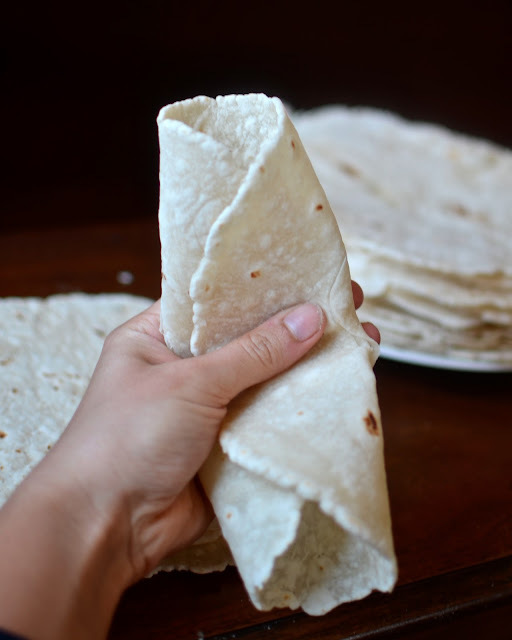 Your tortilla will now be thin and floppy. So you shall flop it right onto a hot, ungreased pan. Once it starts bubbling, flip it. Then when the other side has some nice brown spots, it's done. ...and tear just like a regular tortilla. I was gonna say they're tearable, but, well... that sounds terrible. Mix together the rice flours, tapioca flour, white sugar, baking powder, salt, and xanthan gum. Mix in the shortening with your fingers until well combined. Add the water and mix well. If the mixture is still dry, add a little more water. Heat an ungreased skilled on medium-high heat. Roll out tortillas and cook each one on the hot pan until it begins to bubble. Then flip it and cook until the bottom has some brown spots. They're the best if you stack them on top of each other as they come out (this softens them up a bit). You can also throw a slightly damp towel over the top one. These keep pretty well in a plastic bag in the cupboard. Don't forget to follow on Facebook and Pinterest! Butter would burn at that high heat. Coconut oil tolerates high heat so I'm guessing that would work. Your "lifter thingy" is called a bench scraper. They're handy for lots and lots of kitchen tasks! Original flour tortillas are made with shortening and without sugar (A note for the comments) Thanks for the recipe, can't wait to try them! Can you use coconut oil or real lard? I LOVE this recipe b/c it's egg free! I have a difficult time finding gluten AND egg-free bread alternatives. THANK YOU! Has anyone tried to make them large enough to act as a wrap? I have made these before and yes you can freeze them and use later. When I take them out of the freezer I toss what I need in the microwave between 2 pieces of damp paper towel or slightly damp regular towel for 10 seconds or so. I also have used olive oil or a combination of olive oil and coconut oil instead of shortening. What is the purpose of the sugar in this recipe? Is it to help with the xanthum gum taste? I love these and so does my family. I make these at least once a week. These are the closest to what my grandmother would make!